The richness of this island manifests itself through architecture, art, culture, and obviously in the food. Expect nothing less than falling deep in love. The largest island in the Mediterranean Sea. About 228 days of sunshine. Phoenicians, Greeks, Roman, the Baroque, arts, music, cusine. 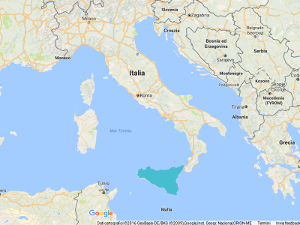 3 international airports (Palermo, Catania, Trapani). It’s a land of light and richness, the meeting point of Europe and Africa, a place that offers both the simplicity of neat Fisherman village and the exaltation of Baroque in elegant towns, a region combining dramatic Volcanic landscapes to the most gently rolling vineyards. Cycling wise we’d suggest the ride from Trapani to Erice and back, a very well preserved ancient village of the west coast. If you are on a walking trip you can’t miss an excursion at the Etna mountain, absolutely breathtaking. Colorful, spicy, varied…fantastico! A culinary tour of Sicily could last months, and still you’ll have something more to discover. Just let me describe the Arancini, stuffed rice balls or conical shaped, usually filled with ragù, mozzarella and peas, coated with bread crumbs and then deep fried. This elegant food is considered street food, simple yet complicate to prepare, that perfectly symbolizes the richness of this culture. In the ’90 there were less than 50 commercial producers, today there are about three hundred small cellar, investing in quality and doing great internationally. 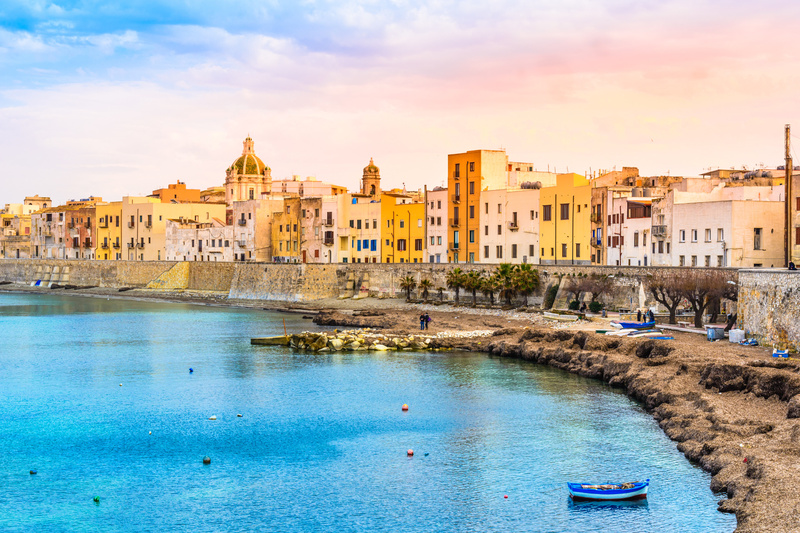 There are at lest three wines that can’t be missed, the popular red Nero d’Avola, dense and dark, the Marsala, created by British like the Port wines, and the Passito di Pantelleria, a nectar sweet wine produced from sun dried Zibbibo grapes. Sicilians are theatrical, how could it be otherwise in a region dotted by so many theaters since the ancient times? And they are definitely elegant, you’ll have a taste just walking along the “Corso”, the shopping street in every town, and looking at the locals impeccably dressed walking the catwalk for the “struscio” (evening stroll). Starting from a classic southern italian “Tarantella”, may be played with the “scacciapensieri” (the Jew’s harp), you can have a Sicilian suggestion listening to Franco Battiato, a refined artist able to blend different styles, or getting in to the groove of Roy Paci’s trumpet. 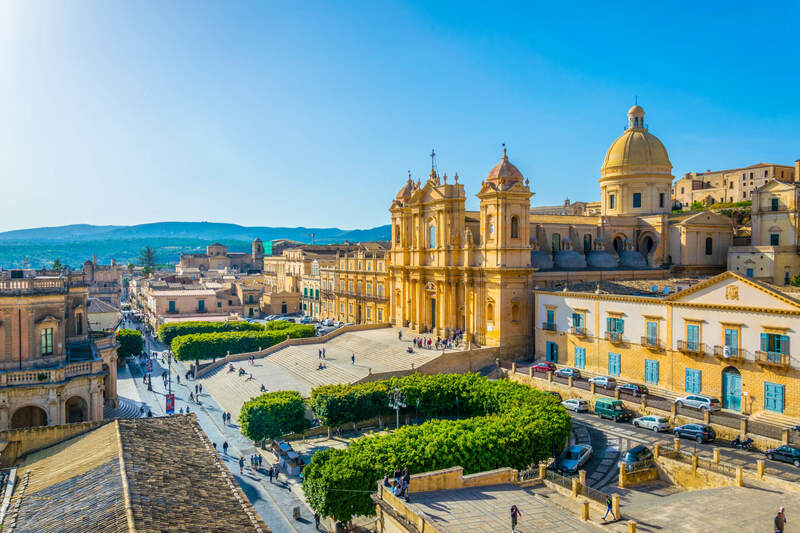 Sicily is essentially a layer, a thick one, of cultures and civilizations. This land have a complex heritage, Phoenicians and Greeks, Arabs and Normans have shaped the island. You’ll breath this by just walking in the villages, many with a stunning beautiful center, then if you have the chance to see the Cathedral of Siracusa, built as greek temple, then transformed in the first western church, then became a mosque and again a church under normans…you’ll be transfixed by its beauty. Have an aperitif in Mozia, the island just in front of Marsala, during a warm sunset light. Have a “pani ca meusa”, sandwich with veal spleen…yes it’s veal spleen! Attend a Greek tragedy at Siracusa theatre.